Circe, a minor Greek goddess, finally discovers her power, but crosses a line that gets her banished to a lonely, remote island where she’s to live for eternity. 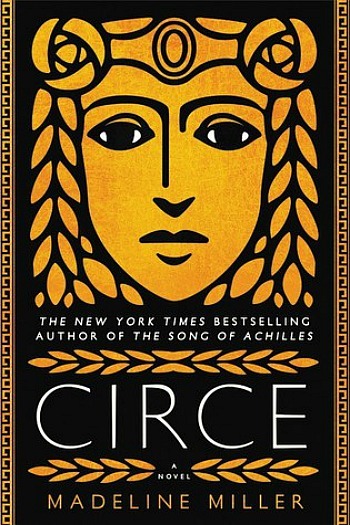 I hadn’t really considered Circe until Catherine from The Gilmore Guide to Books raved about it. I enjoyed a class on The Iliad and The Odyssey way back in college. So excited to read this! And, like you, I never would have picked it up if Catherine hadn’t raved about it. The premise was not in my wheelhouse at all. I’m really curious to hear what you’ll think of it. I read it mainly based on Catherine’s review and am so glad I did. Such a great review Susie! You’ve made me so excited to read this book. I love the idea of a soap opera of the gods and since nothing has really grabbed my attention in the last couple weeks I might just buy this rather than wait on my library copy. Hope you’re doing well!! I think it’s well worth the cost. Ive seen this around but I need to admit that the whole Greek thing is not really appealing to me… but you loved it so much that I might change my mind!! Annie – I was not attracted to the premise at all, but I couldn’t ignore some of the reviews I saw and I’m so glad I tried it. Let me know if you read it. Libby says I have to wait 12 weeks for this book! Ouch! Libby can be mean that way. Whew, so gad you loved this as much as I did! And I agree, the house sounds amazing. All I want to know is: who is Miller going to write about next?! I hope she doesn’t decide she’s had enough of mythology because I could read her take on the gods and goddesses forever. I initially assumed this wasn’t going to be my cup of tea, but I have only read/heard AMAZING things about this book, and now I’m dying to read it!